As many of you are looking to use your PC/laptop as a security camera you may wish to investigate this software available for Windows. It is Not ALFRED. It is not as easy to set up ALFRED. Also works with all usb webcams and IP cameras and wireless network cameras. Oh and is totally FREE. Also Linux option for advanced users whom know how to use samba ect. There’s zomeminder which is nothing like Alfred and doesn’t run on Android or iPhone. “”" Edit. Link removed .""" 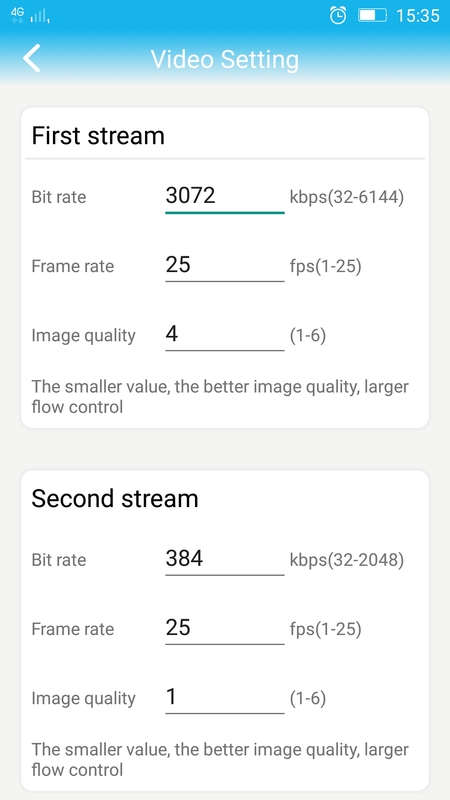 Is Alfred compatible with cameras other than phones? Can I use the web cam on my laptop as a camera? When will it be released to be used on windows laptops? Had to remove the link as Alfred doesn’t like competition, even though Alfred doesn’t support M.S. Windows as a camera device. I’ve just invested in a IP camera for £15 Inc delivery that’s cheaper than a yearly subscription to Alfred. Will update you all with a in-depth review and comparison after I’ve had it running a couple of weeks. Motion detection as long/short as you like, 24/7 recording, Pan/tilt. Oops forgot to mention NO ADS sweet. Please don’t take this as a negative for Alfred but as I have mentioned previously Alfred’s pricing policy just doesn’t stack up against the price of today’s standalone IP cameras. After all you have to provide the hardware and all the installation and setting up yourself. Seeing some of the hardware specs some users have utilised they would be better off selling them second hand and purchase a four camera wireless HD DVR recorded with a monitor for around £150 or cheaper. Please Alfred I respect your mission but your subscriptions need to be adjusted. Update. Just set up IP camera No.2 was much easier as reading the instructions properly helped. 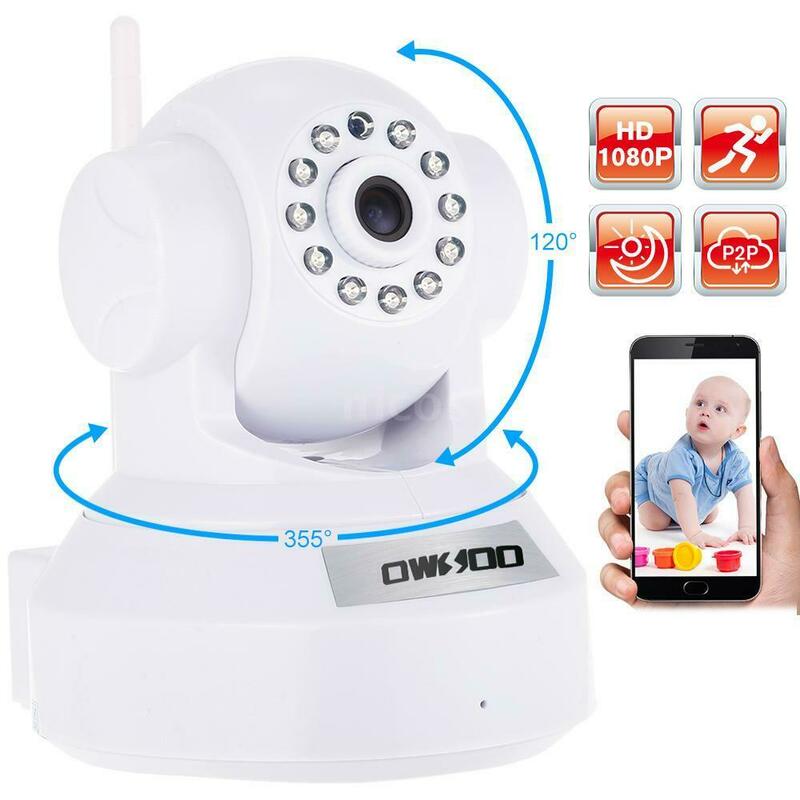 Just turn the IP camera on and let it boot up, enter the WiFi code in your app on your phone and it plays a tune to the IP camera and then the IP camera connects to your WiFi. Amazingly easy. 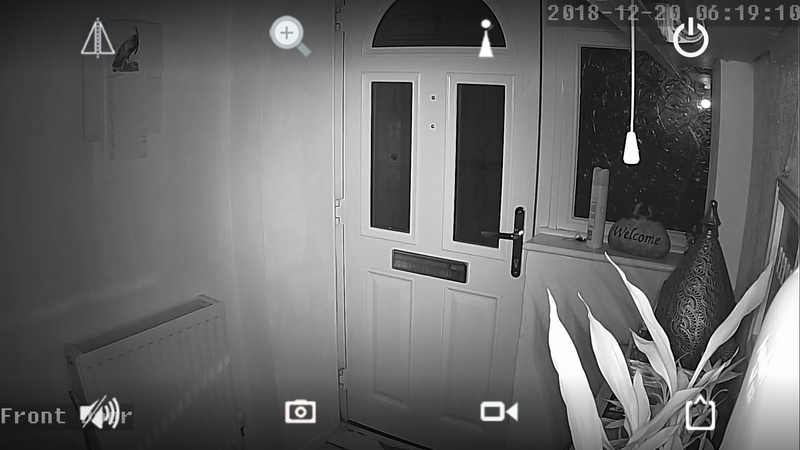 Onvif output is also available from the IP camera so that you can use a stand-alone DVR or a PC with aftermarket DVR software such as Contacam ( https://www.contaware.com/ ) to view, record and review your IP camera. All for £15 Inc Postage and package. Board meeting for Alfred ? 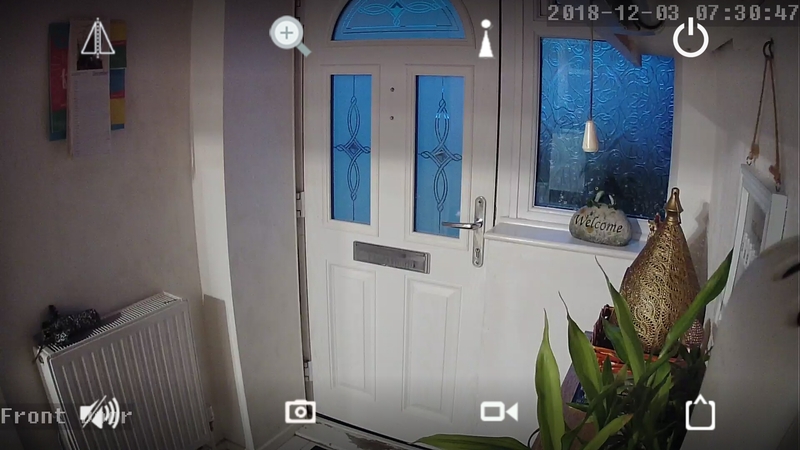 Downside to this particular model of IP camera. The recorded video files do not have thumbnails like Alfred, there is only one account for signing in which is an admin account there is no way to add just a user account which would be like Alfred’s trust circle. Both of these issues I plan on rectifying with a DVR. Another upside. Motion detection records whilst live view and using the two way Comms and panning the camera. On the recorded clip only the camera side audio is recorded. LOL you can say what ever you like as it won’t be on the recording. Result. This is the model which I purchased. 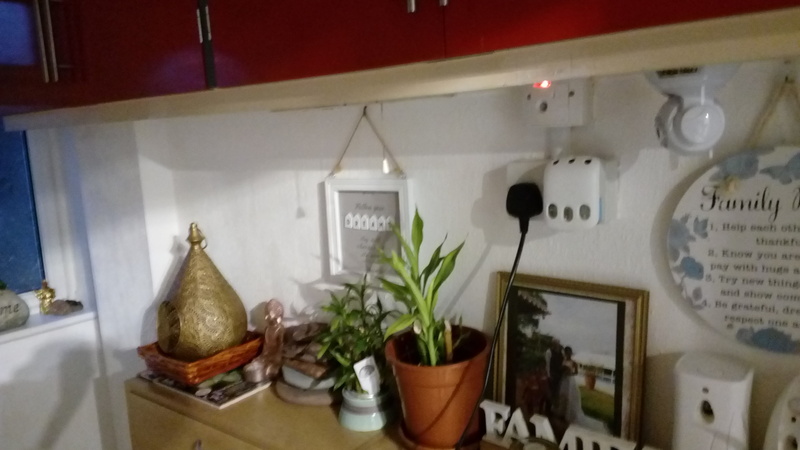 Both wired and wireless network connections are available.Support WIFI, support AP mode. Support Pan tilt rotation, 0°~355° horizontal and 0°~120° vertical viewing angle,wide monitoring area. Rotation angle: Horizon:0°～355°; Vertical：0°～120°. | eBay! This was taken in complete darkness the camera has inbuilt infrared light source. Wow. Nice setup PinkyLee… But just beware, this thread may or may not piss off Mr. Alfred… HaHaha… But also this could give the makers some things to do to Alfred but at the moment I suppose they’re doing their best job they can with this app. I love it still tho & it don’t make u waste old your old phones & let them collect dust & rust & it’s a ‘GREEN’ way for them electronics too & well hellfire it’s basically all free so why not give a shot you know! & to be able to achieve the same video specs as u got with that other system u would have to have the almost the newest affordable phones available at your disposal but I can’t complain about Alfred at all cause it is by far the best way for a complete security system setup for your household or business especially if you’re one of the lower income people like me. But like I said good job on your end of that other system but I’m sticking by with my Alfred system 100%! I’ll talk at cha later gator! & Merry Christmas to u & your family from me! @fordescape606 I am still fond of Alfred, he’s still doing his thing outside my front door and have respect for the developers. I just feel that the app is still nuts and bolts until it is 100 percent reliable with local backup, auto reconnection and self update, start up. They are charging for things that do not work on every device, Best just charge for the best benefit of Alfred which is the secure cloud storage, priceless. When it comes to night vision you need an infrared light source. Also on your camera device you will have an infrared lens filter which can be removed on some devices but is a very tricky task as the device has to be stripped down to get to the lens which is very tiny and fragile. Out of the one’s I’ve examined the lens component was sealed and I felt that trying to remove the filter would permanently damage the lens. Also you would need to be able to filter ordinary light to make it clear, this is achieved by using exposed celluloid film. There are videos of how to achieve this on certain video sites with a webcam which I have done myself but have failed to achieve the same results on a mobile/cell phone. What camera is that and we’re did you get it from? @bloemenvreugd owsoo 1080p. Link about 8 posts up.